saweeetttt! this would be ideal, the under 2" is nothing. Yeah looking forward to skiing them. Definitely want to try the MX88 as well. Sounds like a great ski also. In another thread, I buried a recommendation for Lynn to look at the Kastle RX70. Major $$$, but, as Ron and I ski demo's that Phil found last year, perhaps he could come up with a short length later in the season. I followed, let's say tried to follow, Phil down a bump run at Elk under the twin double , while he was on this ski. He turned them like an olympic bump pro. I also demo'd it that day on the hard Elk snow and just loved it in my typical short radius turns. 70 waist, but, it turns sharper. When I give up the Supershape, this is the ski I want to be on. Greg Merz has a pair but didn't get to ski them much following an injury. Not sure if a woman specific ski is available. Phill on a Supershape? I'm still laughing. If he had a choice of skiing a Supershape as his daily driver or moving to moving to Miami, then his recreational bucks would be spent on suntan lotion and Spanish as a second language class. As well as he skied the RX 70, he just shook his head and said not for me. I also have a Blizzard SL that he practically gave away. But, I'd take my SS's down Tunkahannuk, which is left to bump up, at Elk any day. What I won't do is take my body down major league screwed up bump runs like Bear Mountain at Killington. Not an RX70 fo, but an MX70! That would be a great choice. I think I know of a pair demos of in a 160 w/KT12 (not KTi) flat mount bindings. I know the 160 is a tad longer 1.9" or so than the 155 but it will be a very good price. I did not realize Kastle did both a RX and MX 70. For some reason, I thought we skied the RX70 at Elk in a 170??? Your job in life is to keep me straight with respect to skis. Do you believe a 160 would be good for Lynn? Last years RX is this years RX12, more of a master race GS ski. LX72 sounds like a very good match for Lynn (width being a minor concern). MX70 also sounds like a good general ski, with shorter turn radius? JB, that is because we are talking about a ski for Lynn, not you. I will say this is a better ski than the FX84 for its intended purpose. Well said, Phil.? Lynn was getting jealous at people trying to hijack her thread.? ? That will teach her to go into the wilderness with no Internet. yeah, the FX line is not intended to be a dedicated groomer ski. It doesn't have the "race" genes the MX series or the RX series have. It's much more for BC or mountaineering skiing.? This was one reason why I still scratch my head at the ratings on that ski and even the new 94. I didn't ski the 94 but to say its a better ski than the 88 is kind of a misnomer.? Better how? at what? I am sticking to the MX88 as my daily driver based on it's performance on and off-piste and the full spectrum of snow conditions. I still like the FX series even as a frontside ski but for a specific skier but the new LX's took much of that away. The LX is a ski that is greater than the sum of its parts. 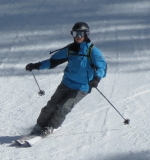 My son Tyler who skis faster than me, it is his favorite ski too. FWIW, My FX84 quickly became my go to ski last year and I suspect that it will continue to bring me big grins this coming season. 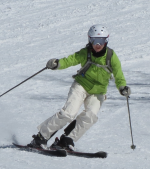 The reference to it being strictly back country may be subjective depending on the skier weight, style and skill. Although, I tend to find myself looking for off-piste more than groomers. I'm built quite the same as Lynn and would be a good comparison for her when looking for a new ski. I haven't skied the FX74, wonder how that would work for Lynn, perhaps Phil has an idea about that...... but otherwise the LX72 would be my first thought at the beginning of this thread.......but... ......I do have slightly used MX78's that probably won't get much use in my quiver this season. So Lynn, if you were to pick three skis you want to demo this year what would they be? Well, that was the primary purpose of this thread, to get others recommendations of what I should demo. My thoughts thus far, in order..
1. Kastle LX72.? Minor concern is the waist width since I really wanted somethingless than 70.? However, the rest of Phil's description of the LX82 was spot on!! The turn radius for shorter models should be down in the 12-13 range that I would like to have. 2. Kastle RX70. slightly narrower waist, but may give up some of the trees and bumps versatility of the LX72. 3. Head SuperShape.? I think this is too much ski for me, but given that both JBotti and todd recommended it, I will give it a try if the opportunity presents itself.? Maybe a SS Magnum or Icon TT80 as a similar option. 4. Head Perfect One.? But I think JBotti had an excellent point about laminates and, after checking, this is not a laminate. All of the above paraphrased by? JIM R. for? Lynn. The other ski that would be great is the Hart Phi-nomonal a 66 waisted ski that is close to the Kastle in quality. Yeah, I should have mentioned the TT 80's. Wonderful skis. Release out of edge lock carves better than the Head SS's. Tremendously versatile for a 13m (in the 170) TR ski. I use them as my bump ski. Similar power to the original SS's but slightly more GS feel. Great skis. I feel pretty confident that the original (pre KERS) SS's are not too much ski for you Lynn (using my wife as an example). TT80's wpould be great as well. 2. Kastle MX70. slightly narrower waist, but may give up some of the trees and bumps versatility of the LX72. I forgot about that, Its a great ski. Mosdef a good one to try out. Do you believe that the Phinomonal has bump and tree versatility comparable with the frontrunning LX72? The more things you ask a ski to do, the less it does well. The Phi will be better ski for the "drills" the LX72 better for the bumps and trees.